The London based Sky Rose Cricket Club, run by Tamils from Trincomalee settled in the United Kingdom, has been providing financial assistance to Trincomalee Student Welfare Fund (TSWF) to implement a scheme for paying monthly allowance to deserving students who are unable to find the funds to pursue their education, sources said. 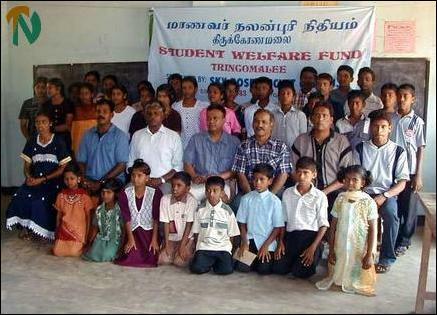 A section of the students helped by Trincomalee Students Welfare Fund. 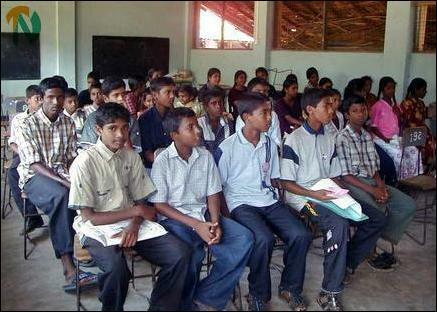 The Trincomalee Students Welfare Fund has been functioning in the Eastern district since 1983. Participating in the event, Mr.R. Saravanapavan of the Sky Rose Cricket Club in London said he would be sending school bags and shoes for deserving students. Mr.S. Thayaparan, President of the TSWF presided at the event. Mr.Nishanthan (R) on behalf of Koneswaram Lions Club handing over mosquito net to a student. TSWF Secretary Mr.S. Sasikumar said the main objective of the fund is to assist students of poor families affected by the war and other related difficulties in pursuing their education without interruption. 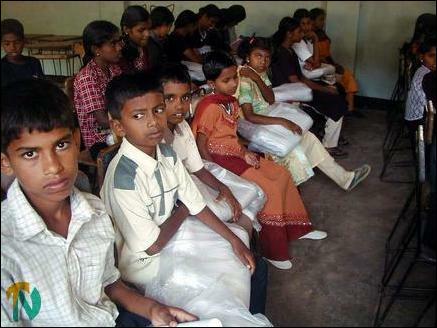 Trincomalee Vigneswara Maha Vidiyalayam Principal, Mr. N.Rajanathan, said he has seen students in remote villages in the Muttur division even without mats to sleep in their houses. The recipients with Trincomalee Student Welfare Fund officials. A section of the students with mosquito nets.